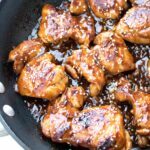 It’s a weeknight dinner win with this super easy and flavorful Crock Pot Honey Garlic Chicken that’s just as delicious as it is easy! Quick and easy, friends. 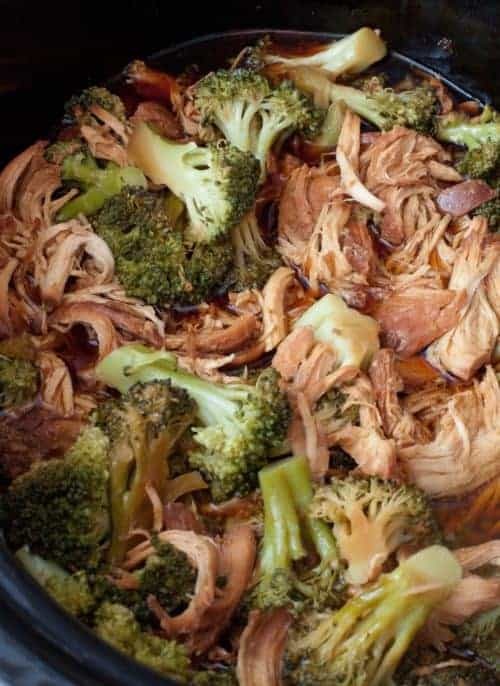 That’s the name of our game here lately and this Crock Pot Honey Garlic Chicken Dinner fits the bill. Just like this post, which’ll be quick and easy because that’s just how life needs to be these days. After 14 glorious weeks of maternity leave with my little munchkin, also known as Munch Nugget, I’m back to work this week, she’s in daycare, and I’m looking for any and all ways to make life easier. Enter, my trusty Crock Pot. Chicken Pho , Chicken Carnitas Tacos, Balsamic Chicken, hell even Chicken Chow Mein. 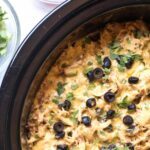 Our Crock Pot never fails us for delicious, easy, time saving, life easing recipes. This recipe was absolutely perfect for my first day back to the office. The night before I just pulled out the Crock Pot, chopped up some carrots and potatoes, put some chicken thighs on top, and then threw together the super simple honey, garlic, and soy mixture. Then in the morning between making sure I was wearing real pants for the first time in months and that my little Munch-Nugget had milk and diapers for day, I just tossed the honey soy mixture on top of the chicken and ran out the door. Then promptly had to run back in the door to turn on the Crock Pot and get the car keys that for the car I’d tried starting without them. What’s better than coming home to a delicious smelling house after a crazy busy day spent mostly trying to hold back separation tears? 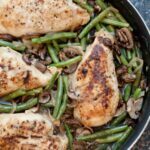 Getting to make up that time apart in the evening because dinner was ready and waiting and in just one pot! 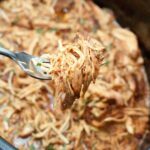 Crock Pot Honey Garlic Dinner, made so easy! There are carrots and potatoes under the chicken, I promise. You can’t see them because I was way too hungry to wait to take any more pictures. But trust me, they were soaked in honey, garlic, soy, chicken deliciousness! 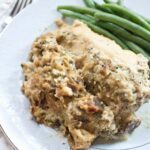 A flavorful weeknight chicken dinner! The night before, add potatoes and carrots to the bottom of Crock Pot. 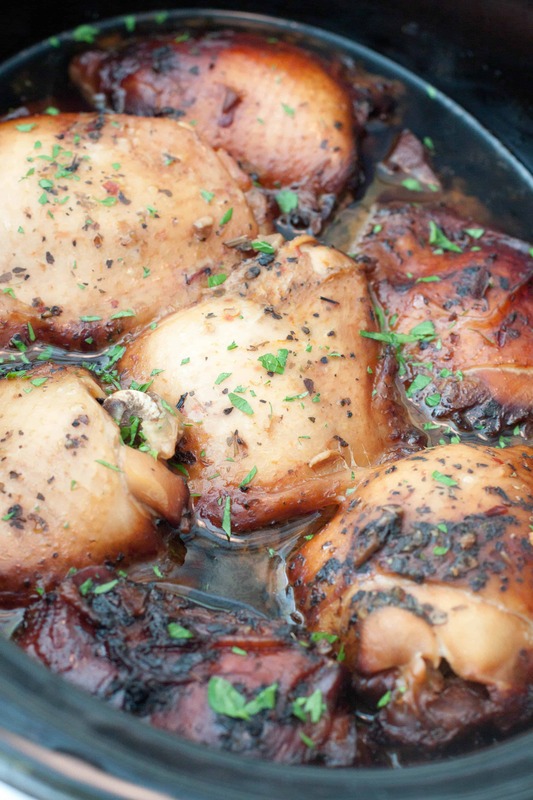 Top with chicken thighs and set in fridge. In a medium sized bowl, mix together the rest of the ingredients. Cover in plastic wrap and set in fridge. In the morning just evenly drizzle the honey soy mixture over the chicken. Cover Crock Pot and set to 8 hrs on low. 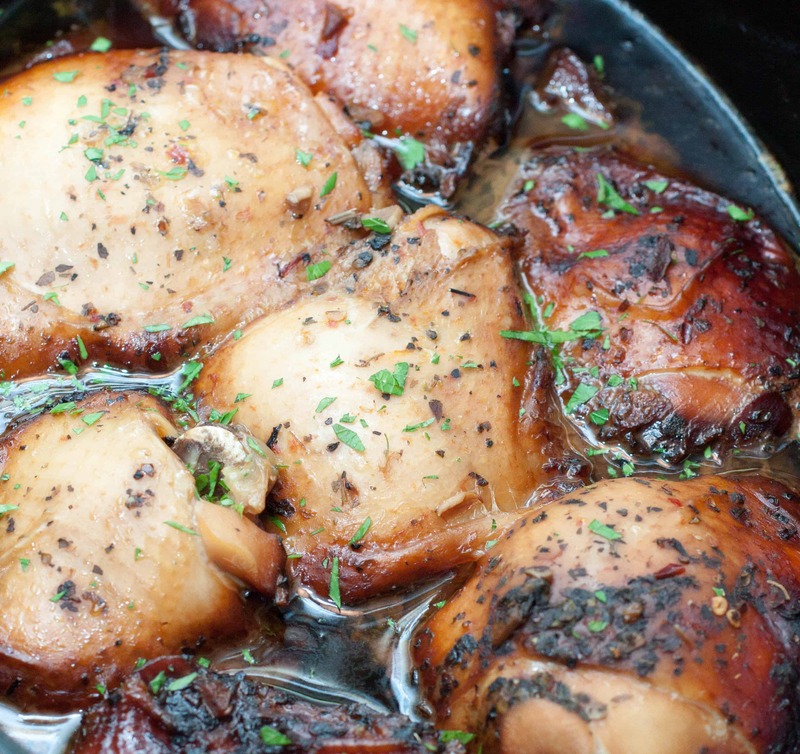 You had me at “crock pot” and you had me drooling at “honey garlic”! yum yum yum!